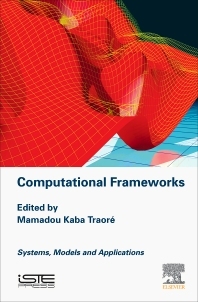 Computational Frameworks: Systems, Models and Applications provides an overview of advanced perspectives that bridges the gap between frontline research and practical efforts. It is unique in showing the interdisciplinary nature of this area and the way in which it interacts with emerging technologies and techniques. As computational systems are a dominating part of daily lives and a required support for most of the engineering sciences, this book explores their usage (e.g. big data, high performance clusters, databases and information systems, integrated and embedded hardware/software components, smart devices, mobile and pervasive networks, cyber physical systems, etc.). 1: How Can Modeling and Simulation Help Engineering of System of Systems? 4.3 Why do we encounter non-reproducibility? Mamadou Kaba Traoré currently chairs the distributed software engineering Master degree at Blaise Pascal University in France. His research is on formal specification, symbolic manipulation and code synthesis of simulation models..